as a player, provide positive and/or constructive feedback to your DM. and then asked the following questions. Keep in mind this wasn't anonymous but - because I emailed each person individually - wasn't subject to groupthink or other people's opinions. Now, I'm sending this survey to everyone, individually. I try to take my job as DM as seriously as is appropriate. Serious enough that I care to make sure you guys have fun, but not serious enough to take personal insult if you think I should make changes to my style. So please be honest and constructive, but do try to reply before we meet next. I want to see what you folks come up with individually without any groupthink. 1) What was the best thing I did that I should continue to do? 2) What was a thing I did that I should try to avoid? 3) Tell me about a moment when you felt least engaged, least entertained or least "into it" and why. 4) Tell me about a moment when you felt MOST engaged, most entertained or most "into it" and why. 5) Given what you know about the Ktecedios world we've built together, what's the most interesting region/character/concept/place? 6) On the topic of Drama Points, what do you think? Too many? Too few? 7) On the topic of individual XP bonuses at the end of the campaign sessions, what do you think? Did you like it, or would you prefer that everyone level up at once (like we did in Ktecedios Chapter One)? 8) On the topic of hit points - do you prefer to track them yourselves, or have the DM track them? 9) On the topic of activity - we spent a lot of time in decision making, tactics, logistics and dialogue in the final few sessions. What did you think of these last few sessions specifically? I've included highlights of the positive and negative feedback I received. The next time the campaign met, we discussed the questions and people chimed in how they wanted. This is also a bit of a humblebrag about how awesome my friends and players are. Take a look and see if there's anything in here you could use to add/avoid in your own DM style. What was the best thing I did that I should continue to do? "The sun setting combat scene was awesome, the spider combat was awesome. I like it most when we fight but don't fight. Meaning when the combat moves fast and I feel like we were challenged but it doesn't feel like a grueling event." "Mixing in tactics and logistics into the campaign outside of combat made it a lot more fun outside of combat." "I really enjoy the integration of skill challenges and variety in the way we "battle". It was fun to be involved in those sorts of challenges and they add balance and variety. I also enjoyed the "missions" aspect. Having the ability to choose separate paths or have our decisions influence the direction of the game is realistic. In real life we don't just have one responsibility at work and we don't just have one option when traveling somewhere new on vacation, we have to make choices. I enjoyed having a similar set of options in the game." What was a thing I did that I should avoid? "When the party is split into groups (and they could be just inside and outside a dwelling). Don't spend a long period with just one of them. This is going back to the last session at the x checker. If we would have popped outside now and then and did minor combat, or some sort of roll challenge even for a min or two." "Since not everyone is always comfortable with off-the-cuff roleplaying, I'd suggest letting folks speak up as they feel ready when you're asking for our reactions to a situation if it looks like a player's feeling on the spot and not ready to talk yet. (Not something I noticed often.)" "I know it's difficult when we get off topic and horse around... but that's part of D&D. Quick tip: If we're getting off topic, it may be cause we're a) bored b) not sure what to do or c) in need of a break. " "The one thing to stress is that I think it is better for us to monitor our own hitpoints." "We spent my entire time in the campaign in one place. I know that it was part of the story, but moving around a lot has its benefits." Tell me about a moment when you felt least engaged, least entertained or least "into it" and why. 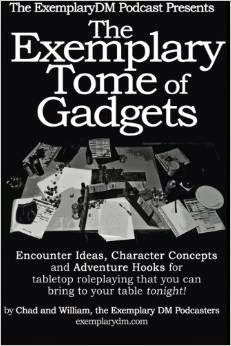 "When one player takes control of your attention to ask very specific questions that only their character would be concerned about - when that goes on for 5 minutes or so. It completely stalls what momentum that the group had, one person is getting all the attention, and I felt like I shouldn't ask questions just for the sake of moving on." "This is one of those that I cant remember much. I can say in the last session it did drag on a bit with the group inside the x checker while begin outside we did nothing, but I know you were trying to let them do something to finish the story out." "I don't think there are specific times I felt disengaged unless it was getting really late or other outside factors impacted my mood." Tell me about a moment when you felt MOST engaged, most entertained or most "into it" and why. "On man, so many times. when Styrke was going through his downward spiral. When the spider queen stuff went down. When Kosmaras got taken... really anything that was integral plot. Or pulled on the heart strings. " "I was probably the most engaged during the seduction and it was an interesting thing for me to play through. It was something that altered the state of the the character in a way that was interesting to explore or think about." "Any interactions with NPCs was awesome mostly because they are all so characterized." Given what you know about the world we've built together, what's the most interesting region/character/concept/place? "All parts can be interesting, I don't know if it will be the next time or what but I would eventually like to maybe break through and visit the crazy death realm where Sviesos was pulling all these bad things from. Maybe after this next campaign we could have a campaign that starts at level 10 or so where the mission is to destroy the evil altogether." "We mainly were in the sultanate this time and silver kingdom last time. Always nice to see other places. I would like to at some revisit the valley they Genasi took over(meaning flushing out what happened there since etc...not necessarily going there). More knowledge of what transpired with Jadenn(maybe not himself but the religion that sprung up after he walked into the water), Jon's character and the drow would be cool to." On the topic of Drama Points, what do you think? Too many? Too few? "I like ‘em, keep it up." "I had a bunch of drama points that i never really used... I'm 50/50 on this one. Sometimes my failures were good things, cause it made it all interesting. But on daily powers when you really do need the success and it's NOT funny to lose, they are so necessary." "Neither the thought of "he gives out to many" or "he gives out to few" occurred to me, so I would say just right." "If XP is character experience, I would argue that Drama Points are player experience. Generally they are awarded for when the player behind the character stretches beyond their comfort, or the player shows growth. For example, you might award someone for roleplaying to encourage him/her to take more risks in that area." On the topic of individual XP bonuses at the end of the campaign sessions, what do you think? Did you like it, or would you prefer that everyone level up at once (like we did in Chapter One)? "I like the individual XP, it's extra motivation for me to role play and better develop my character." "There are too many moments that you could either give out XP or drama points. I think there needs to be a separate system for both." "I loved the XP. I like the way you gave XP. I liked watching you sometimes lean your head down and grant XP when someone was really participating. I LOVE XP. It's kinda like getting the score at the end of laser tag. It's a How'd I Do moment. I like that. It's not just combat based, but you can tell when someone did well and didn't and i felt like the XP reflected that. And i think justly so if someone is out role-playing others they should get the benefit from that." "XP is similar to Drama Points to me. I do think that it is something I wouldn't want removed, it's a goal for folks to achieve. Sometimes I do feel my character was at a disadvantage for earning additional XP because he wasn't compassionate or very open." On the topic of hit points - do you prefer to track them yourselves, or have the DM track them? "Players track HP... i never liked the DM tracking. It's cumbersome and not really effective. I get the concept but i think if the Players aren't d-bags about role-playing and trying to maximize healing then tracking our own works." "I think it's better for the player to track them. I could understand the argument that it breaks the fourth wall, but it's the responsibility of the player and an opportunity for the player to understand, in character knowledge, what that blow felt like or how weak they really are because of battle. It's probably something I could personally do better." On the topic of activity - we spent a lot of time in decision making, tactics, logistics and dialogue in the final few sessions. What did you think of these last few sessions specifically? "I mostly liked 'em. The only time I struggled to stay engaged was when we split the party and had to juggle different scenes alternately." "The last few session did kinda drag. I felt like most of this was logistics (How many wagons, how are you gonna feed the animals, etc)... and that's where i get BORED. As mentioned earlier, if logistics are pertinent to the GAME PLAY then cool, if not, then i feel like it's a waste of time. Ways to fix that? couple of ideas... maybe put a time limit "You have 5 minutes to decide how you're gonna go from the stables to the Exchequer - and GO!" OR Have an NPC be the logistics dialogue leader, not you. That way it feels like we're having a conversation IN GAME, instead of logistics with eachother in our own group." "I like them quite a bit actually. It was not combat but it was just as fun." "I think it was a good relief from the action we had seemingly constantly when we were underground. The vault door exercise seemed more like an annoyance than a fun puzzle to me, but who knows." "I liked them a lot, but I wish more of the discussions were done in character." I have to say that the entire campaign postmortem was positive and helpful. I have made some welcome modifications to my style and houserules that will make everyone happy. Done a post-campaign survey yourself? Have you received good feedback from them? Care to share? you know the email address. We've love to read them on an upcoming podcast.